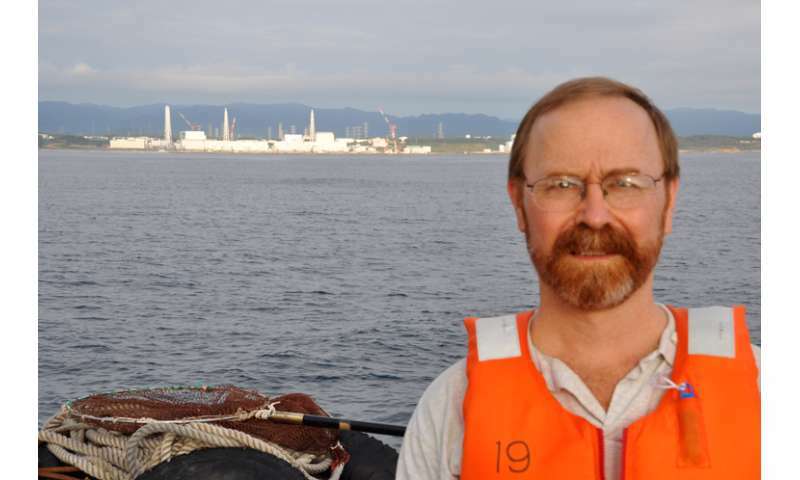 "Radioactivity can be dangerous, and we should be carefully monitoring the oceans after what is certainly the largest accidental release of radioactive contaminants to the oceans in history," said Ken Buesseler, a marine chemist at WHOI who has been measuring levels of radioactivity in seawater samples from across the Pacific since 2011. "However, the levels we detected in Ucluelet are extremely low." Scientists at WHOI are analyzing samples for two forms of radioactive cesium that can only come from human sources. Cesium-137, the "legacy" cesium that remains after atmospheric nuclear weapons testing, is found in all the world's oceans because of its relatively long, 30-year half-life. This means it takes 30 years for one-half of the cesium-137 in a sample to decay. The Fukushima reactors added unprecedented amounts of cesium-137 into the ocean, as well as equal amounts of cesium-134. 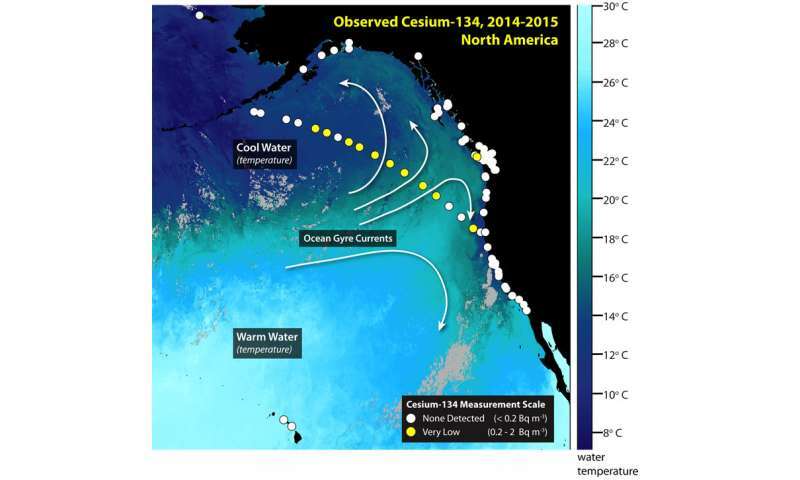 Because cesium-134 has a two-year half-life, any cesium-134 detected in the ocean today can only have been added recently—and the only recent source of cesium-134 has been Fukushima. Buesseler has had to rely on a crowd-funding and citizen-science initiative known as "Our Radioactive Ocean" to collect samples because no U.S. federal agency is responsible for monitoring radiation in coastal waters. The results are publicly available on the website OurRadioactiveOcean.org. "We expect more of the sites will show detectable levels of cesium-134 in coming months, but ocean currents and exchange between offshore and coastal waters is quite complex," said Buesseler, "Predicting the spread of radiation becomes more complex the closer it gets to the coast and we need the public's help to continue this sampling network." Meanwhile, the waste from the wind turbines at Altamont meant relief from the heat with breezes and electricity. Those of you with no appreciable background in nuclear power are ripe for picking by Big Nuke Money. Your "information" comes from the Nuclear Priesthood itself. How are you going to get accurate information? You can start with sites such as EX-SKF and Fukushima Diary, and also read those who used to be in the nuke field, but left because they said it was unsafe.